The Italian playmaker was key for the red and black side to win their first MLS title in 2017. One of the best footballers ever to grace MLS stadiums has called it quits. Italian playmaker Sebastian Giovinco has put an end to his term as a Toronto FC footballer after four years, but he does so against his desire. The documents have revealed that the 33-year-old was indeed in police custody last month. The former NYCFC midfielder is considering coaching following his retirement. Zinedine ZIdane to take over Beckham's Inter Miami? The former Real Madrid manager is reportedly in talks to reignite his coaching career. The Englishman wants a statement signing and is thus contemplating a move for La Pulga. David Beckham excited football fans when he announced his new Major League Soccer club, Inter Miami. And now, according to reports, he aims to top that by securing a world-class signing in the name of Lionel Messi. And the Englishman did all of this in the span of seven seconds to help DC United win 3-2. Wayne Rooney may no longer be at one of Europe's best leagues, but the Englishman is still doing bits in North America. The Man United icon grabbed all the headlines in Major League Soccer as he helped DC United beat Orlando City 3-2. The Bavarians are in talks to sign Vancouver Whitecaps' teenage star. The next stop for Manchester United and Everton icon Wayne Rooney is D.C. United. The English Premier League's second highest topscorer, Wayne Rooney, is ready to bang in the goals on American soil! His free transfer to DC United is nearly complete. 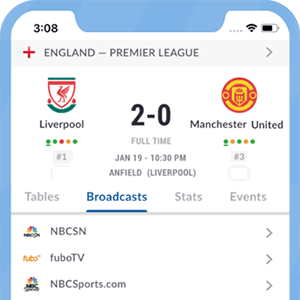 It’s been a long time coming but ESPN has finally launched its newly refurbished ESPN+ App. The Walt Disney Company’s Direct-to-Consumer and International group, together with ESPN, unveiled the app on Thursday. The ESPN+ App is the first-ever multi-sport, direct-to-consumer premium subscription streaming service. With the end of the MLS streaming service comes the birth of ESPN+.